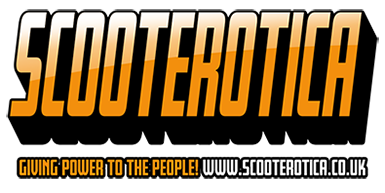 Anything related to Lambretta or Vespa Scooters fitted with LC, Motorcycle and/or Auto engines! 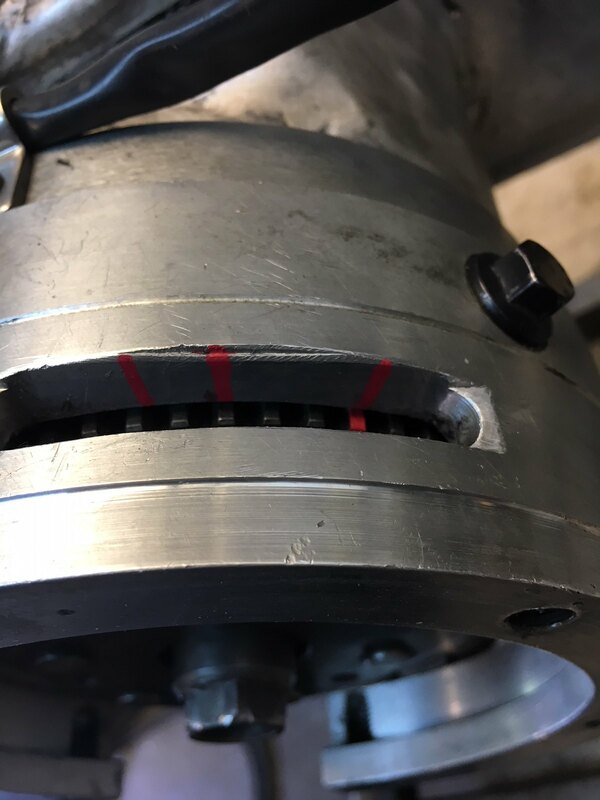 Ended up machining the drive side bearing surface as well as the mag flange mating surface while the engine was apart as it had a beat up bearing race on the mag flange end. Guessing it came down to misalignment due to all the welding done to the cases. 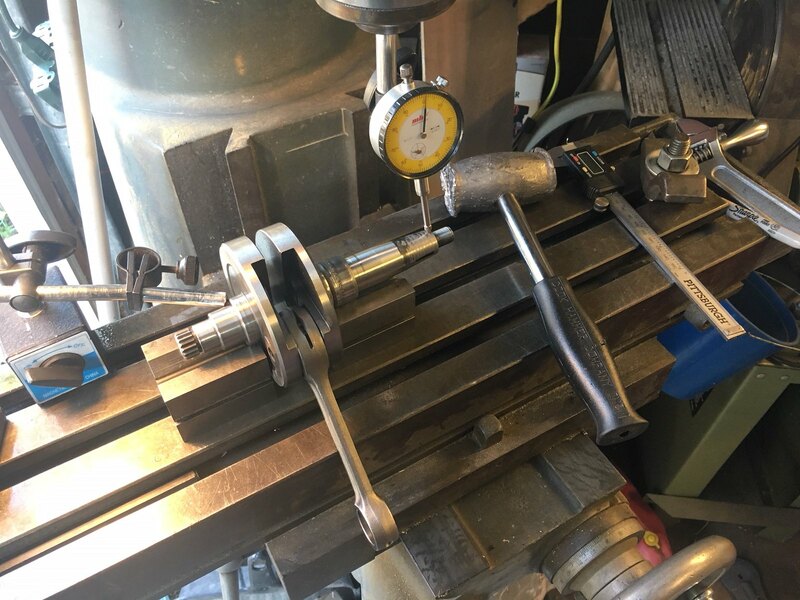 Trued the crank as well as it was out a few thou more than I was comfortable with. It's back to under a thou runout now, so all's well. Waiting on a couple small parts then the motor should be ready for reassembly. 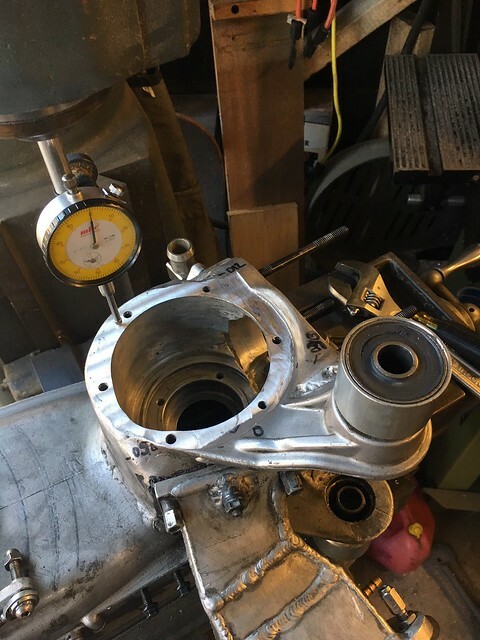 In the meantime, I've been chasing a handful of little things and think the damage came down to too much positive deck height resulting in too much compression which built up excess heat and probably caused the piston to contact the head. Perhaps more than once! The positive deck height situation also caused the piston to hang over the exhaust port at BDC, which no doubt exacerbated the problem. I've got a new base gasket installed that puts things more in line with where they need to be and think I've got the issues whipped. Hoping to have everything back together and on the road in the next week or so. Stay tuned! 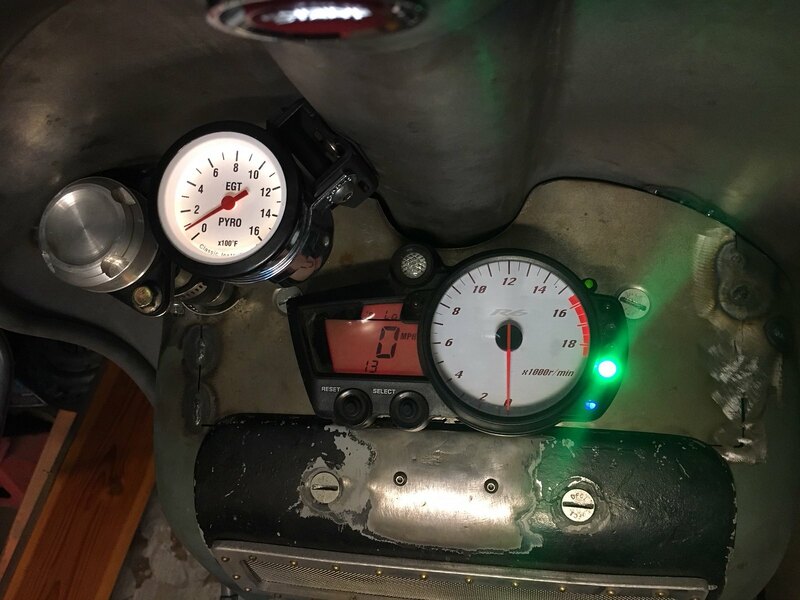 While I'm waiting for a couple small parts from Jet200.com, I thought I'd install the EGT gauge from Classic Instruments. Decided to mount it up on the inner legshield so that I can see it if it reaches a temperature that requires my attention (it's programmable and flashes red when the programmed temp is reached). Hopefully this will prevent the previous adventure from occurring again. You can just make out the Voltmeter LED above and to the right of the tach. Reading green so all's well! It changes from green to orange to red depending upon the charge state of the battery. 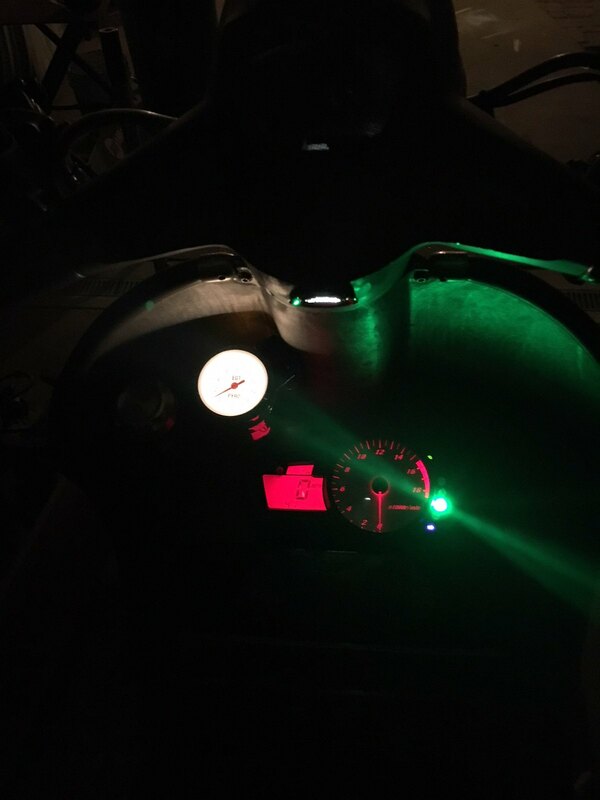 The bright green light on the cluster is the low fuel light that I wired in with a sensor in the tank and below that is the high beam indicator. Happy everything is working. If I add the A/F gauge, it starts looking like a serious business! 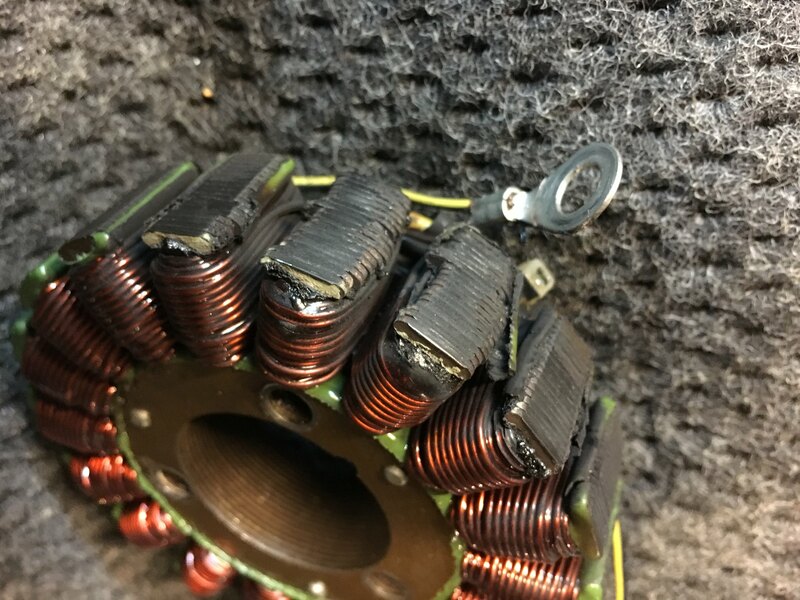 Got the motor back together and everything looks really good. 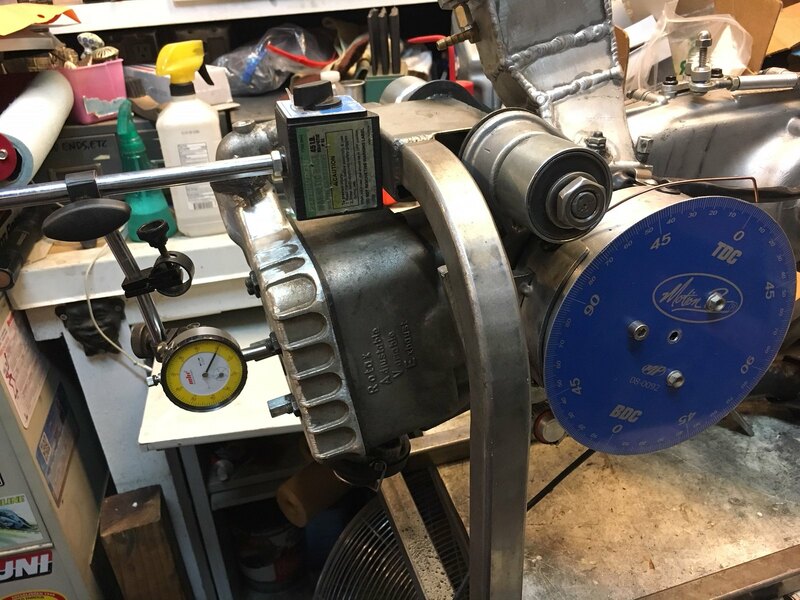 With as much one-off fabrication involved as this project has, it's hard to decide how far to take something without knowing if it will work or not. I think that's one of the biggest factors that went into the initial failure; lack of attention to the usual minutiae due to the unknown. It's hard to justify spending hours and hours on something that isn't going to work, so you have to decide when to "call it". 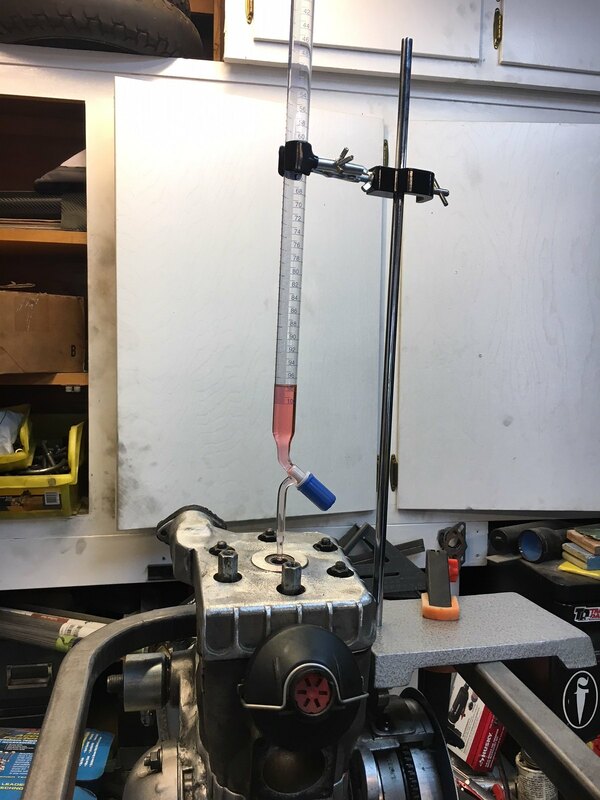 At the end of the day, I'm surprised it all worked as well as it did and the fact that it seized on the dyno and didn't blow the bottom of the crankcase out doing 65mph is OK with me! Needless to say, I'm embarking on Chapter Two, so to speak, and I'm approaching things as if they're going to work, paying careful attention to detail. I added some timing marks so that I can strobe it once it's up and running and then program the MSD ignition to suit. 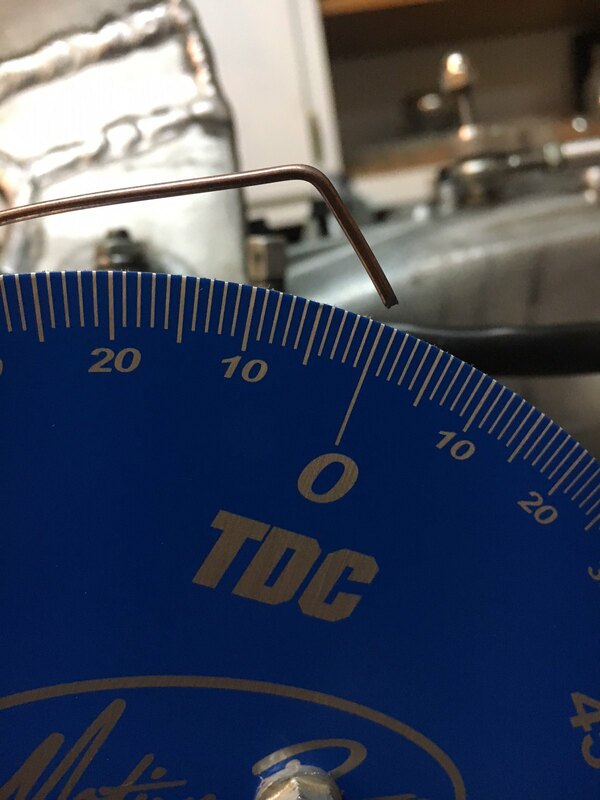 Rotax specs call for 17-degrees initial and 24-degrees total, all in by 4,000rpm, so that's what I marked, in addition to TDC. I also cc'd the combustion chamber to ensure we didn't make the same mistake as last. The combustion chamber volume came in at spec, 28cc, so all's well. I also checked the squish and that was within spec too. Things are looking good! The motor is back in the bike and I'll be concentrating on sorting out the exhaust next. I have a KTM300 FMF pipe that I'll be using as a base, along with a few specs pulled from various sources for comparison. Hope to be making blue smoke again very soon! Get her kicked off tonight without incident. Sounds good! Hoping to have a chance tomorrow to check timing and then have a putt around the block. A couple from tonight. Had a blast 'round the neighborhood and things feel very promising. That's on me I guess, though I could swear things were dialed in upon assembly. 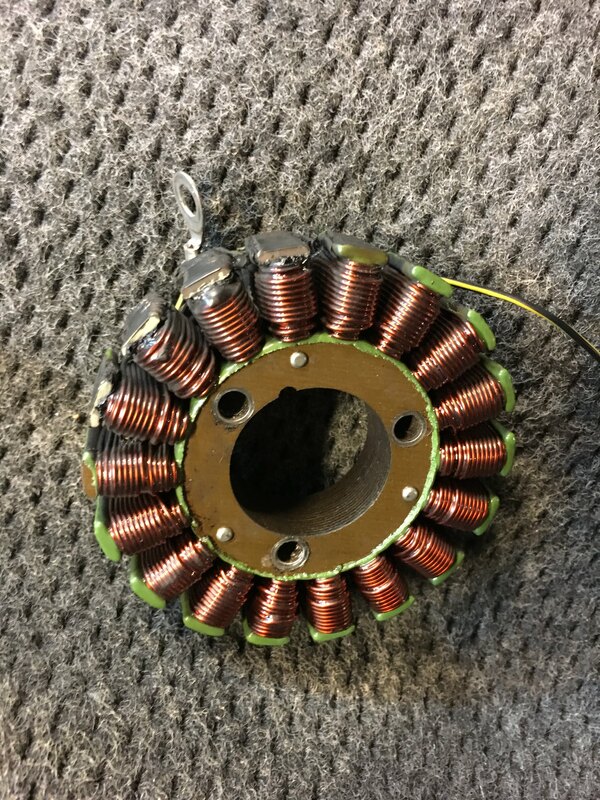 Luckily, I had a stock stator on hand to swap out, so we're good to go! Will post results from this weekend. It will either end on two wheels or four, on the back of a tow truck!